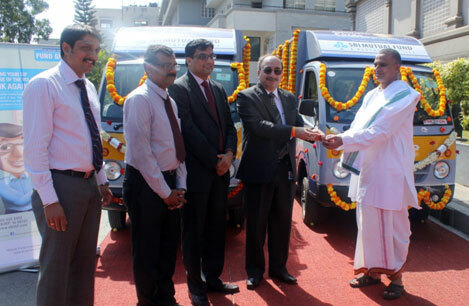 SBI Mutual Fund has donated two meal distribution vehicles to The Akshaya Patra Foundation. 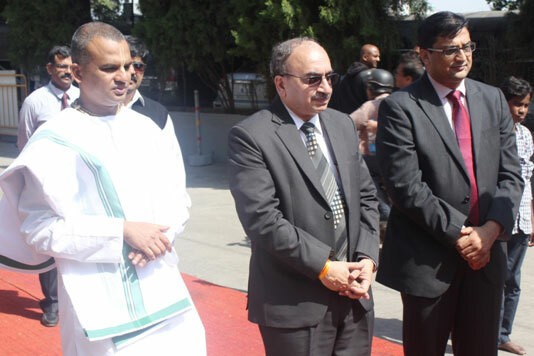 The vehicles were flagged off on 6 December, 2013 from the campus of the ISKCON Temple. Mr Dinesh Khara, Managing Director and CEO of SBI Mutual Fund was also present at the event. He was accompanied by Mr Navneet Munot, Executive Director and Chief Investment Officer as well as Mr Hariharan, Vice President and Zonal Manager of SBI Mutual Fund. The dignitaries were taken on a visit to the temple, followed by a tour of the kitchen, to explain in detail the execution of the mid-day meal programme. Following this was a board meeting, and a Puja (prayer ceremony) for the new vehicles after which they were flagged off. The dignitaries were finally taken to the Bovipalaya Government Higher Primary School for a visit where they could witness the food distribution process taking place. These new vehicles will be used to deliver freshly cooked, nutritious food from the kitchens to the Akshaya Patra beneficiary schools.